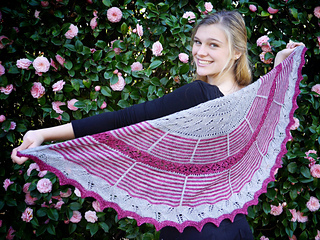 Attention all knitters, crocheters, Portland, Oregon yarn shop fans, folks coming to the 2014 Rose City Yarn Crawl, and anyone who likes a good mystery-along! 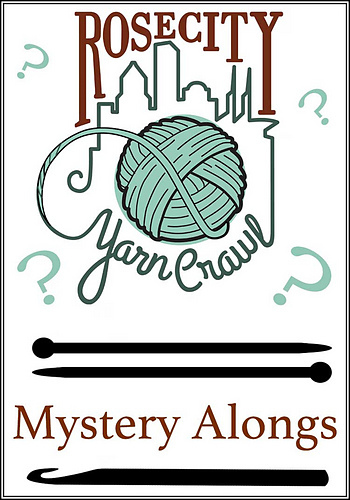 We are excited to announce that, as a part of the 2014 Rose City Yarn Crawl, there will be both a Mystery Knit-along AND a Mystery Crochet-along. We’ve teamed up with two fabulous local designers, Michele Bernstein the knitter and Laurinda Reddig the crocheter, and we couldn’t be happier with what they’ve come up with for us. Two very different and very Portland designs. Presales of patterns will begin on December 1st, giving you plenty of time for swatching, color choices, and requesting yarn for the holidays. Both -alongs will begin in January 2014. Each 2014 RCYC participating shop will have their own recommended yarn(s), so make sure you hit your favorite Rose City LYS. Many shops will be hosting K/CAL nights, so, again, make sure you connect with YOUR LYS! We’ll be taking a group picture at the Wednesday night reception (more info to follow), so make sure to get your tickets! Oh, and did we mention PRIZES?!?!?! Yeah, we’ll have those, too. So, get your needles and hooks polished, clear your calendar, and get ready to join in a Rose City Yarn Crawl Mystery this January! Final clues will be released with enough time to bind off, block and wear to the 2014 Rose City Yarn Crawl, February 27-March 2, 2014.